Following up on Jonathan’s June 7th post Top ideas for the next Wonderland Wednesday project, I wanted to let everyone know that we selected the EZMove project. The idea behind EZMove is to provide end-users with an easy way to move objects around. The current scheme requires right-clicking on an object, selecting edit from the menu, and then using the movement tools. With EZMove, users will be able to simply hold down the Alt key and drag an object to move it. Once that’s working, a variety of other movement options will be added, such as letting you move an object closer or farther away by using the mouse wheel or letting you rotate the object using the arrow keys. With only one design session and four coding sessions so far, the Wonderland Wednesday participants have made excellent progress. We were even able to test some code this past week. Here’s a short video clip I captured during the test to show you how the project is coming along. While moving worked quite well at the origin of the world, it worked less well in other locations. If we tried dragging an object in the Dev Zone, more than a thousand meters from the origin, the object would jump before tracking the mouse. The majority of this last coding session was spent figuring out that problem. We’ll test it the fix this coming Wednesday to see if the problem has been resolved. If so, the group will tackle one of the other types of movement next. If you would like to attend one of these Wonderland Wednesday coding sessions, please drop by. The announcements are always posted on the Open Wonderland Facebook events page. Everyone is welcome. It’s an opportunity to see real work getting accomplished in the virtual world and it’s fun to help test the new code even if you are not able to contribute to the software development. Johanna has a BSc from Graz University of Technology and is currently pursuing her MSc in Software Development. As part of the research division, she focuses efforts on e-Learning. 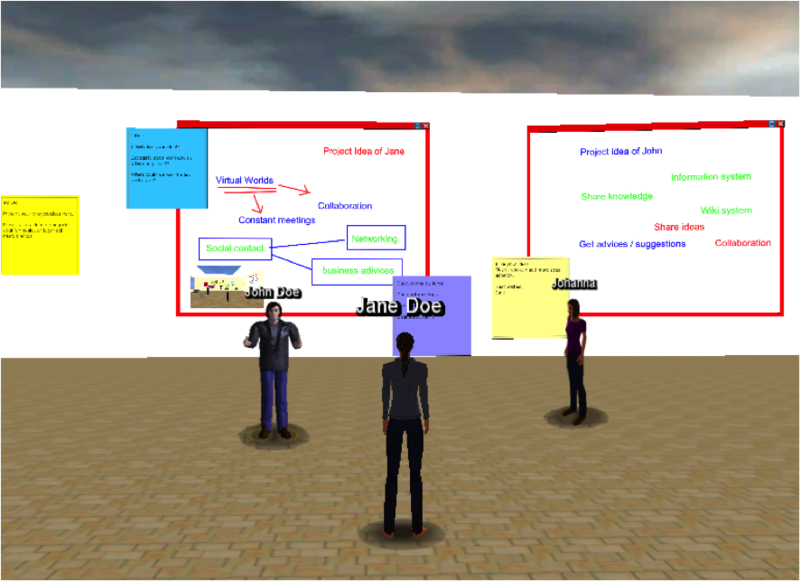 Johanna is also actively working on the EU project CBVI (Cross Border Virtual Incubator) in 3D virtual worlds. Christian is an Assistant Professor (Univ.-Doz) at Graz University of Technology and an Adjunct Research Professor at Curtin University of Technology in Perth, WA. He is also head of GÜTL IT Research & Consulting and an expert involved in national and international review and evaluation activities. He is head of the Advanced Educational Media Technologies (AEMT) Group which focuses on research, development and application of computer-based media technologies for communication, information access and knowledge exchange. Research interests and expertise include cross-media retrieval, natural language processing, information visualization, adaptive systems, e-learning & e-assessment, and virtual 3D environments. The design of the VIW, which has all the advantages of virtual 3D worlds in comparison to conventional e-leaning systems, fullfills the needs of business innovation students and start-up entrepreneurs. The VIW supports both the curriculum and activities of incubation centers, focusing on the social factors and bringing together potential start-up entrepreneurs, teachers, experts, trainers, and potential investors. The VIW also supports the “real business” activities of entrepreneurs, including a virtual space to meet peers and exchange experiences as well as a venue to present business ideas to investors. The final focus of the VIW is supporting entrepreneurship training activities. To give students a clear separation between different kinds of activities, the VIW is divided into the four areas, the Welcome Area, the Virtual Incubator Café, the Seminar Room and the Business Idea Presentation Area. Every area offers students different possibilities and tools, which helps to avoid confusion. When students or start-up entrepreneurs enter the world, they start in the Welcome Area where they can find common information about the system, the options available throughout the world, and the instructions and timetables for the courses and seminars offered in the VIW. The “Incubator Café” provides business students with an informal space where they can meet, discuss topics, and work together on their projects. It is a comfortable place where potential start-up entrepreneurs can introduce themselves on a presentation wall, work together on whiteboards, leave comments on sticky notes, or just listen to the radio together and chat. 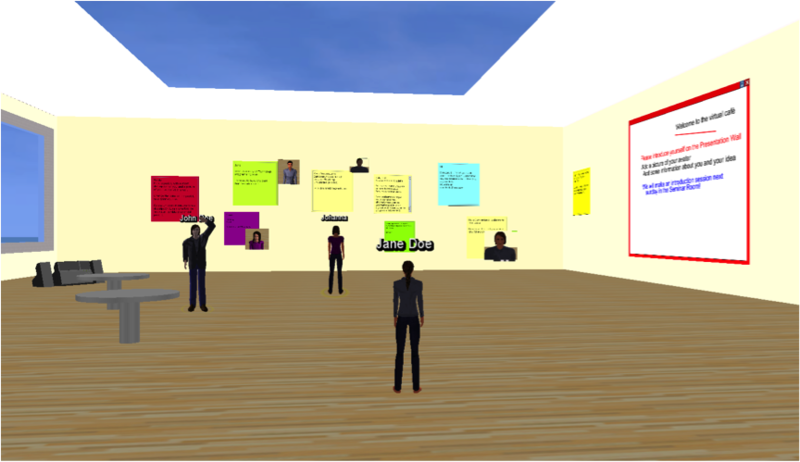 In the more formal “Seminar Room,” students can participate in virtual classes or workshops. Here business students, teachers and experts will find a suite of tools for collaboration and presentation. They can discuss topics on the whiteboard, upload PDFs and images, and work together on Open Office documents. The “Business Idea Presentation Area” is a place where students can set up presentations of their business ideas and business plans. Other students and experts can then comment on these ideas and give suggestions for improvements. For this project, we identified different values and needs of potential start-up entrepreneurs. Entrepreneurs need a large social network to publicize their project and also to meet potential partners or investors. They also need a place to work together on ideas and plans, as well as access to training and a place to simulate business activities like sales calls and presentations of their business concept. All these requirements are perfectly met by the capabilities of Open Wonderland. Start-up entrepreneurs need the help of business experts, possible financiers or investors, and their social network. Due to the entrepreneurs physical location, it is often hard for them to extend their networks. In the virtual world, they can set up meetings independent of locale and timezone, overcoming the problem of being physically separated from the people who may be able to help them get their business started. Both business students and start-up entrepreneurs who want to get the required knowledge about building a successful business are welcome in the world. They can work together on business ideas or business plans, they can participate in virtual workshops and seminars, and they can find important documents written by experts within the world. In the VIW, students and entrepreneurs can work together to practice product presentations, simulate business sales conversations, and role play discussions between entrepreneurs and investors. The start-up entrepreneurs gain experience presenting their ideas and receive valuable feedback from their colleagues. In addition, the participants who play the role of investors acquire an important understanding of an investor’s point of view. After students create and develop their business ideas and business plans, they have an opportunity to present at a virtual incubator fair. At these events, start-up entrepreneurs and students gather with invited experts and financiers. Here, entrepreneurs have the chance to present their ideas to experts and potential investors from all over the world. Five years ago, I was looking for a tool to compose music online. All music tools seemed to be only available in standalone versions. 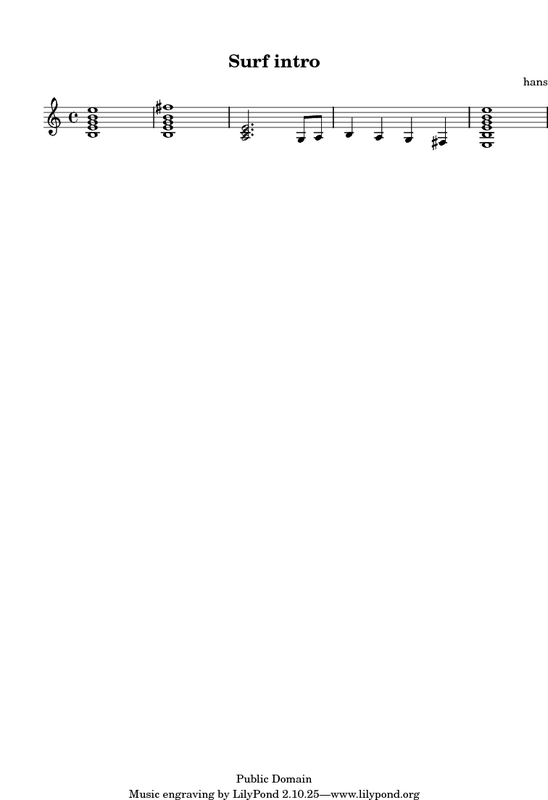 Therefore, I started to develop a web application for online music composition. For this purpose, the JFugue library, was perfectly suitable. I’ve called the resulting web application Jammidi. One thing that is still missing in the Jammidi website is a voice- and text-chat possibility. When I read that the piano module, contributed to OWL last year, is using JFugue, I started to think of composing music within OWL. Then, all collaborative power of OWL can be used for composing music. This idea resulted in the JFugue Editor module. This first version of the JFugue Editor integrates two open source projects: JFugue and OWL. As hinted at in the video, it would be nice in the future to also integrate with the LilyPond project. Then, besides composing music online, the JFugue Editor could also be used for teaching music online. You are currently browsing the Wonderblog blog archives for July, 2011.